Langsett is on the edge of Pennine Yorkshire, the Peak District National Park and Derbyshire - making an excellent base for touring the area. Just four miles from the market town of Penistone, eight miles from the tearooms, antique and book shops of Holmfirth and ten miles from the world class Yorkshire Sculpture park. 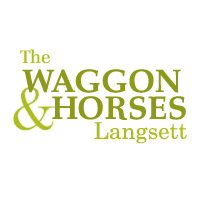 It is for walking that Langsett is best famed - adventurous hikes, short evening strolls, the Pennine Way and the New TransPennine Trail are all close by - in fact the Peak Park produces an excellent book showing walks around Langsett. So you can take on anything from a half hour wander to a 14 mile bog trotting challange, safe in the knowledge that a well earned homemade pie is to be had back at the Waggon. The inn is well known for freshly prepared food, real ale and a real fire. With grand views from the garden overlooking Langsett reservoir and the Pennine moors. This comfortable and relaxing inn, built in 1809 of Yorkshire stone, is a grade II listed building and set in a most scenic and attractive location. We pride ourself on our good character, friendly service and of course traditional country pub ambience - a welcoming bar, we don't have any nasty fruit machines or piped music, we prefer cards, dominos, a good pint, homely food and the hum of conversation.... a real pub. Sheep farming was the main occupation of the people of Langsett for many centuries. The name Langsett evolved from the old name of the area - Lang side - meaning a long slope. This comes from the custom of taking the livestock up the lang side or long slope to the high summer pastures after their winter grazing on the lower land. Changes came about at the end of the 19th century when the reservoirs were constructed. Many good walks can be had from Langsett - short or long, there's always a good pint to be had back at the Inn.